Sessions in this track focused on best practices and case studies in instructional design and pedagogy in online coursework. Sessions in this track focused on technological innovation or new tools that have been implemented to support more efficient and effective delivery or support student engagement or outcomes in online or hybrid classes. Sessions in this track reviewed and explored the services necessary to adapt on-campus services like advising, success coaching, or career services to meet the needs of online students. Presenters examined the differences and similarities of online students and traditional students through the exploration of innovative practices and best practices. Sessions in this track discussed the process for developing online programs as well as faculty experiences of going through the IU Online process for approving and supporting both single-campus and collaborative programs. Sessions in this track focused on innovation, case studies, or best practices in growing enrollments in online programs and courses. 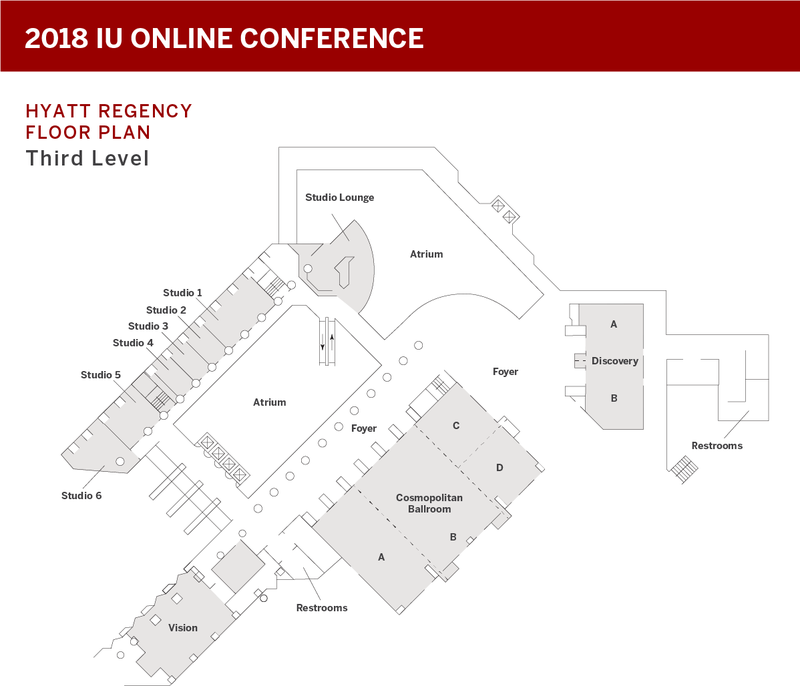 Presentations also covered recruitment initiatives, market analysis, or admissions practices tailored to students interested in IU Online degrees.